Matt, the owner of MS Productions 4u, contacted us a couple months ago to help setup a website and to also create a logo. The logo was completed a few weeks back. However, work on the website has stalled as of late with a few weeks without any additional info from Matt. At this time, we have went ahead and published the site but we expect some additional updates from Matt once he has some time to focus on the website. 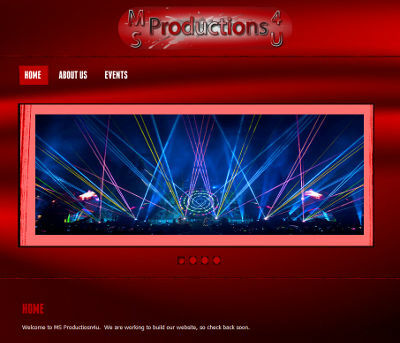 The MS Productions 4u website is at msproductions4u.com.